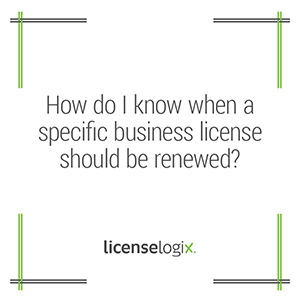 How do I know when a specific business license should be renewed? Businesses are often reliant upon their own internal compliance division to stay on top of renewals. While the licensing jurisdiction may send a renewal notice, entities should not rely on this reminder method. LicenseLogix has developed a License Management System (LMS) to help manage the renewal process and avoid delinquent charges and fines.